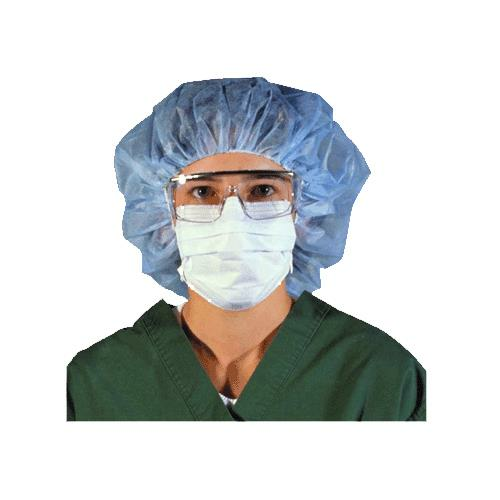 AMD Bouffant Cap is a surgical cap for use in clean room situations, surgery and when contamination is possible. It is ventilated for extended wear times. Feature a soft, elastic headband that holds the cap securely around the face without being uncomfortable while the spunbound polypropylene construction makes for durability and comfort. It is fluid resistant and comes in blue.